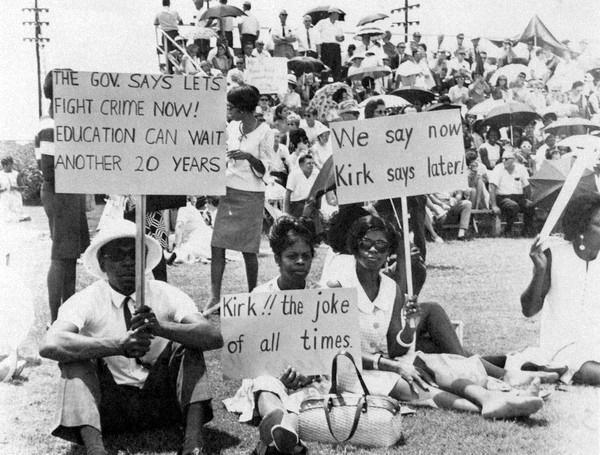 It's Been 50 Years Since Florida Teachers Went On Strike. Today, It's Illegal For Them To Do So. Teachers in several states have gone on strike in recent months, protesting for better pay and working conditions. But that’s not the case in Florida, and likely will never be. Still, once upon a time, Florida led the first teacher strike in the United States. 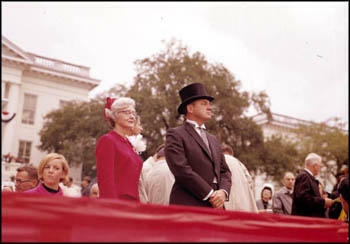 In 1967, Claude Kirk became the first Republican Governor elected in Florida since reconstruction. And in his inaugural speech, he made a promise. “No longer can we afford to mark time in place while other states pursue and capture educational excellence. 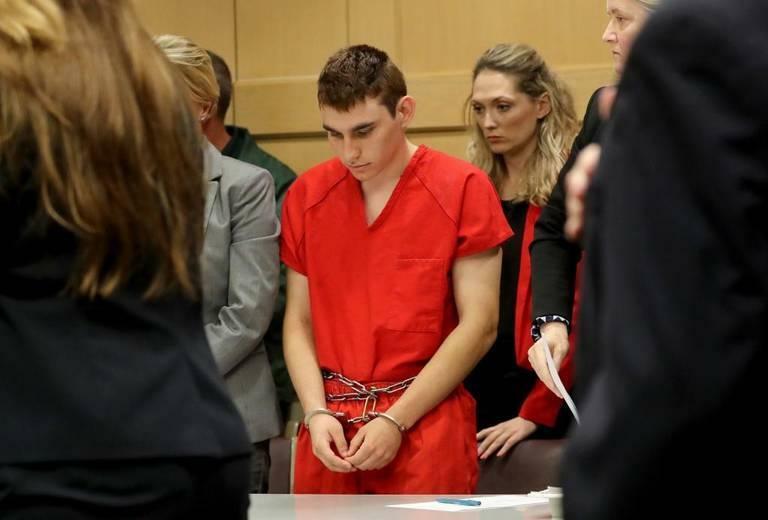 Florida must be number one in education,” he said to applause. "He did anything but help the public education system," says Florida Education Association Joanne McCall, who leads the state's largest teachers union. This year marks the 50th Anniversary of the 1968 Florida teacher walkout. Instead of more money for education, shortly after taking office Governor Kirk pitched cutting education funding by $150 million. “Teachers across the state really just had enough," says McCall. 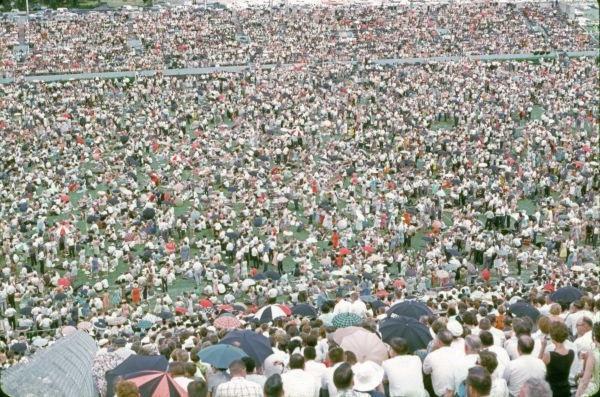 "So they gathered at what is the Citrus Bowl now in Orlando-- the old Tangerine Bowl is what it was called then--and they had this big rally." Teachers were frustrated. In a union-produced documentary, former FEA Executive Secretary Phil Constans said, “every time they heard someone saying they wanted to do more for education they knew it was just talk, and they’d get madder." Teachers were protesting over crumbling schools, a lack of books for their classroom, and overall conditions. Former Indian River teacher Edna Taint says in the documentary, " the question of more money on salaries weren’t a priority." After the Orlando meeting, Governor Kirk convened a special session of the legislature on education. Nothing came of it. So, on February 19, 1968, 35,000 Florida teachers turned in their resignations all at once, and went on strike. It was the first teacher strike in U.S. History. “I’ll never forget the Governor of Florida flying in from California... and announcing to everyone …that he’d convince them…that they’d made a mistake, and convince them to go back to the classroom," Pat Tornillo, head of the Classroom Teachers Association at the time, recalled. Kirk’s speech to the teachers didn’t work. The strike went on for three weeks. But at the time, there were no immediate gains. Eventually, the teachers went back to work. Some lost their jobs. In 1974 the state passed a collective bargaining law, allowing the union to negotiate on behalf of teachers with their employers. From there, teachers earned paid holidays, and an employer-backed retirement, today’s state pension. Yet those benefits came with a tradeoff. "Laws were put in place where we can’t walk off the job," says McCall. 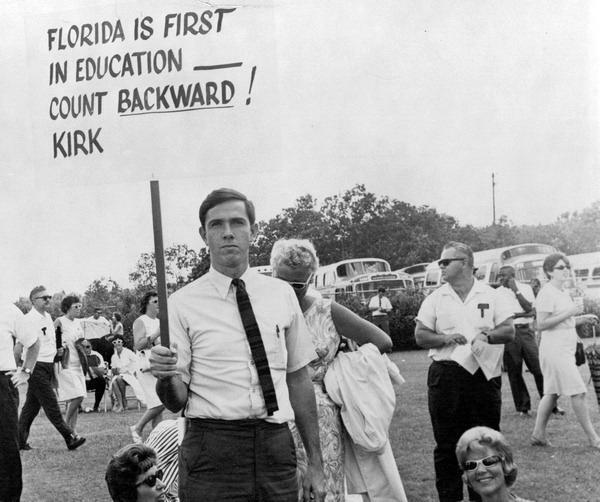 While 1968 marked the first teacher strike in the nation—it was also the last for Florida. Today, public employees, including teachers are barred from striking under both the Florida constitution and state law. And if they do they face hefty penalties. Teachers could lose their teaching certificates, have their pay frozen, and employees at large risk their retirements. Yet McCall admits Florida teachers are still reaping benefits from that strike. In recent years, Florida lawmakers have pulled back from fully-funding public employee retirements and requiring employees to contribute three percent. The state has also eased up on requirements of the state’s class size amendment which dictates the number of kids in a classroom. 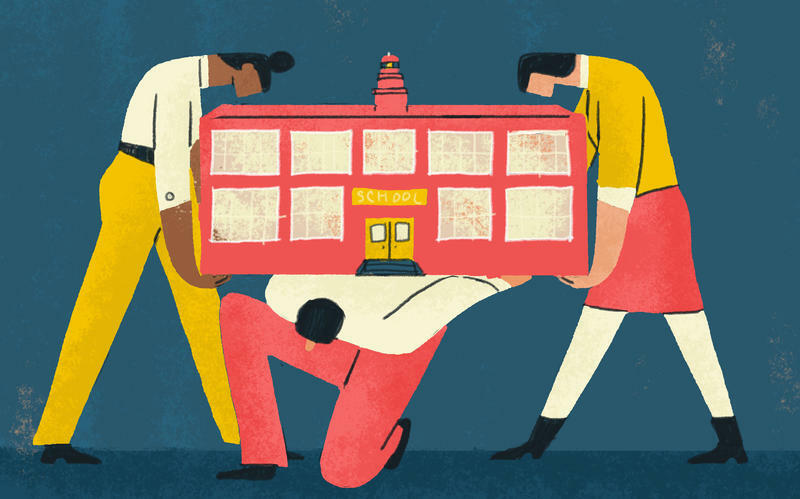 The state eliminated tenure for new educators and it’s made great changes in how public schools are funded—even establishing what critics call competing systems through charter schools and private school scholarship programs. It’s also tied teacher evaluations to student test scores in a way even courts have said is questionable. Kirk lost his 1970 re-election bid. As the wave of teacher walkouts moves to Arizona and Colorado this week, an NPR/Ipsos poll shows strong support among Americans for improving teachers' pay and for their right to strike.